Hard Rock Hotel & Casino Las Vegas announced that it will soon be home to the longstanding rock attraction in March. 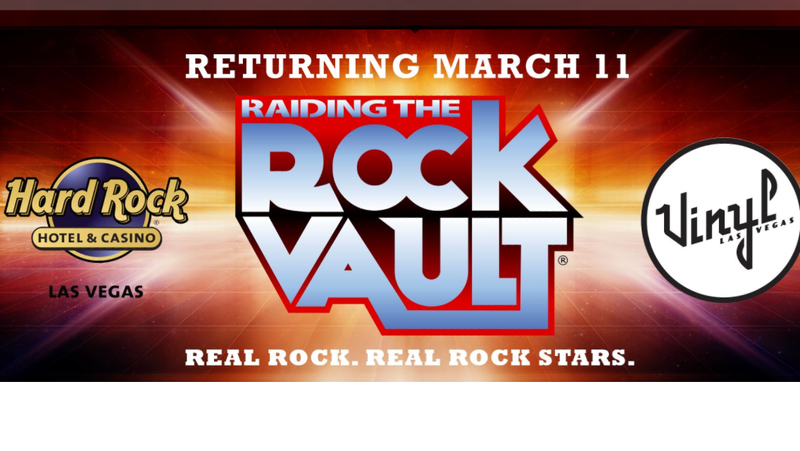 Starting on Saturday, March 11 with headline shows inside Vinyl, Raiding the Rock Vault will perform Saturday to Wednesday at 8:30 P.M., doors open at 8:00 P.M. beginning on Saturday, March 11. Tickets start at $69 (plus applicable taxes and service fees) and are on sale now at the Hard Rock Hotel box office, by calling 888.9.AXS.TIX or online at www.axs.com. A Rock Star Package upgrade is available for $100 and includes a show program, a meet and greet and photo opportunity with the rock stars prior to the show. “We couldn’t have picked a more fitting show to bring to Vinyl at Hard Rock Hotel,” said Chas Smith, vice president of entertainment at Hard Rock Hotel.